Islamabad: 10 July 2018: Minister for Finance, Planning, Development & Reform, Dr. Shamshad Akhtar has said that substantive growth has been made in China Pakistan Economic Corridor (CPEC) projects during last 05 years wherein a total of 22 projects worth around $28.6 Billion in CPEC portfolio are under implementation. She expressed these views while addressing 55th CPEC Progress Review Meeting at Ministry of PD&R on Tuesday. 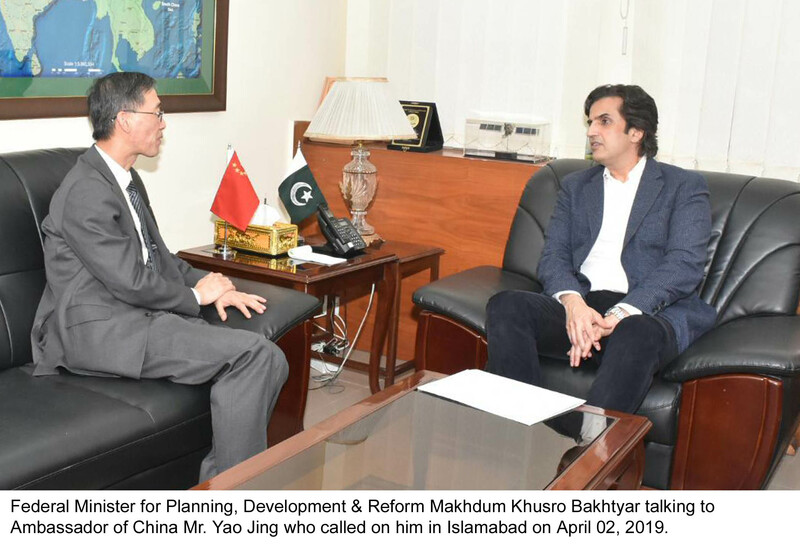 The meeting was attended by Chinese Ambassador at Islamabad Mr. Yao Jing, Secretary M/oPD&R Shoaib Ahmad Siddiqui, Project Director CPEC Hassan Daud and officials from line ministries and provincial governments as well as Chinese companies. On the occasion, officials from Board of Investment, National Highway Authority, Ministry of Energy, Railway, Maritime Affairs and Gwadar Development Authority have presented detail progress on the CPEC projects. Minister PD&R, in her remarks, said that the presence of all stakeholders under one roof is a testament to the fact that CPEC is an all-inclusive project which everyone is fully committed towards. She said that CPEC is an unprecedented opportunity to be capitalized upon in Pakistan’s history. Dr. Shamshad said that after the significant achievements during last five years, more projects are expected to be under operation including ground breaking of New Gwadar International Airport this year, which in itself is a huge milestone for CPEC. 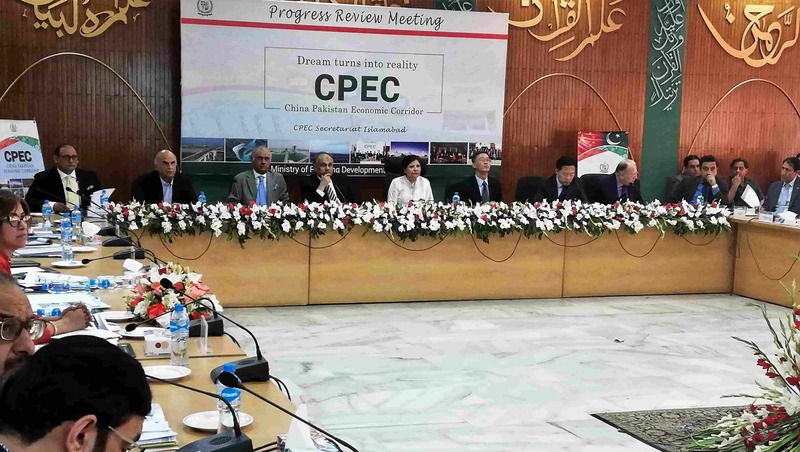 “Moreover, further cooperation under CPEC is expected in the future for development of infrastructure projects such as ML-1 upgradation, Karachi Circular Railway, road projects as well as industrial cooperation”, she added. She further highlighted that Pakistan and China bilateral relations are time tested, as we have a long history of cordial, friendly and strategic cooperation in all areas and domains. Friendship with China is the cornerstone of Pakistan’s foreign policy and strategic cooperative partnership is moving from strength to strength, she underscored. Dr. Shamshad reassured China of full cooperation and support in promoting unparalleled partnership under the framework of CPEC and Belt and Road Initiative (BRI). 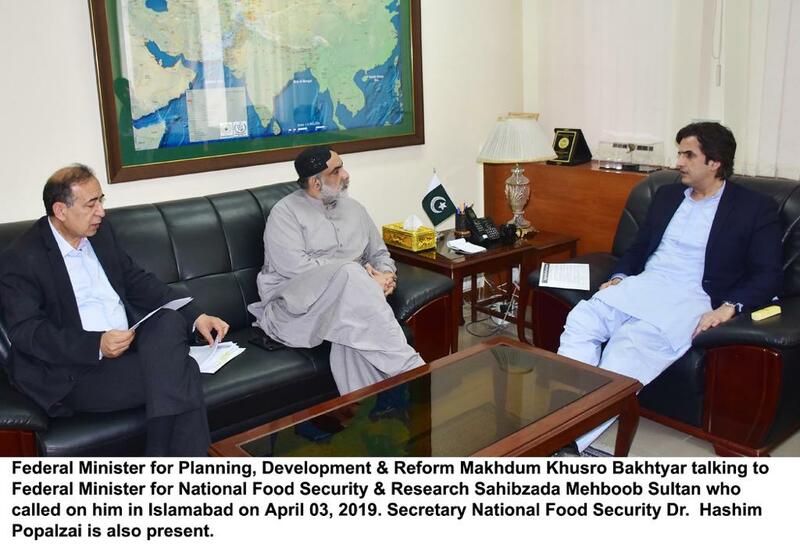 She emphasized to further expedite work on projects at Gwadar and the Special Economic Zones that are not only of vital importance in the portfolio of CPEC but for the local population as well. 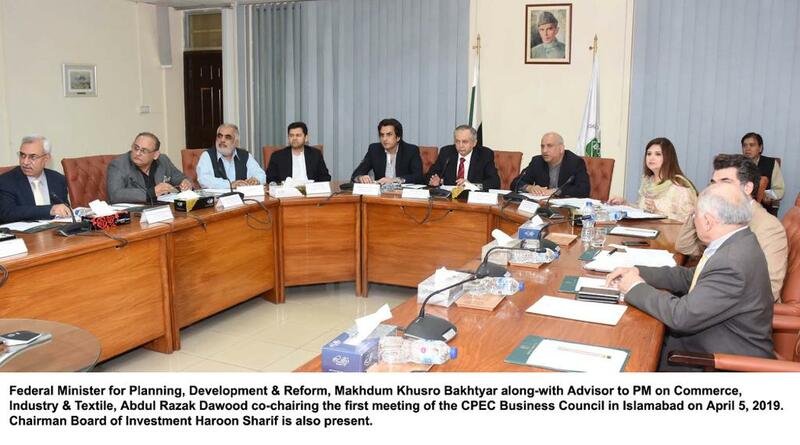 She was of the view that one of the main gains from CPEC is the trade and industry development and cooperation to ensure sustainable economic growth and shape new industry clusters as well as takes fruits of CPEC to lesser developed regions of Pakistan. She pointed out that both countries need to aggressively pursue the mega initiative to shape a new international logistics network in the region and promote regional economic integration through international economic, trade and technological cooperation and people exchanges. She further said that the two countries will make full use of existing bilateral cooperation mechanisms to form synergy, give each other support and learn from each other so as to complement and fully display each other’s strengths. Federal Minister Dr. Shamshad further underlined to continue in this pursuit so that we can bring transformational changes in our approach towards ease of doing business which will be key to attracting foreign direct investment (FDI). She further reassured that that despite the government being under transition, CPEC projects will not be impacted in any way by such developments. “It is our job to make sure that CPEC projects are timely completed according to the agreed timelines and terms”.